There’s no disputing the popularity of WordPress, which powers more than 74.6m sites around the world, with 48% of Technorati’s top 100 blogs being managed by the platform. In the online world though, anything that’s popular is more open to attack and WordPress is no exception. However, the types of attack that tend to hit WordPress sites – unless you’re a big brand – are generally carried out by people without a huge amount of technical know-how. These are often referred to ‘script kiddies’ as they use common code, techniques and kits in order to hack target sites. The good news about this is that it means that often an attack can be dealt with quickly and easily. It’s not necessary to get to the stage where an attack does damage though, as most can be prevented in the first place. So today, we’ll be looking at how you can secure your installation and avoid common hacks. Before you think about securing your site, you should start from the ground up and that means making sure that your hosting server is secure in the first place. Starting with the basics, you should choose a host based on security and reputation and not on price. Whilst I’m sure there are some decent cheap hosts out there, for the most part hosting that costs you $2 per month is not going to cut the mustard. Most of the managed WordPress hosting services have a reputation for secure hosting. They don’t all allow some performance-related plugins though, so you should check first to see exactly what access and level of control you have. Unfortunately, WordPress installations on shared servers, rather than those on a VPS or dedicated server, are generally installed and configured in such a way that’s easiest for the host, but not necessarily the most secure. Note that the following configurations are for advanced users who are familiar with coding or basic sysadmin tasks. If you’re not, then ask your web developer to set this up for you. Just a quick word on this one that bears repeating given that more than 70% of WordPress installations are vulnerable to attack. Always ensure that when you have installed WordPress that you update to the latest version as soon as it becomes available. The same goes for your theme and for all plugins that you use. The same applies to your server software. It might sound obvious to many of you, but the statistics speak for themselves, there are many, many older versions of the platform installed. When it comes to passwords, I come across people on a daily basis who still use something like ‘companyname123’ as their password and these are people that are in the tech industry and should know better. So for yourself and every other user, generate complex passwords and store in a password manager such as LastPass, it’s safer that way. To ensure that minor and major updates take place in WordPress automatically, you can make a small change to the code which will apply them. This removes the need for you to do it manually (only minor updates are applied automatically to WordPress v.3.7 and later) but you should ensure that you enable automatic, frequent backups in the event that something goes wrong and it takes your site out. It’s more common that you’ll experience a problem with automatic updates if you use plugins that are not updated reasonably frequently, so do try to ensure that the plugins you install are maintained and support is available where possible. Alternatively, if you’re not confident when it comes to editing your config files, then you can ask your web host to disable it for you. If you were to monitor how many login attempts there are on your WordPress site each day you’d probably be shocked. These are common attacks which are preventable to some degree by using complex passwords. Brute force attacks generally come from a botnet that attempts to guess your admin password. You can mitigate the risk and stop most brute force attacks by adding an extra layer of protection at the login screen level with HTTP AUTH. This will bring up the authentication box which prompts you to put in your username and password and you’ll then be required to login on the normal WordPress login screen – you should of course use different passwords for both. You can also prevent brute force attacks by monitoring IP addresses that attempt to login and then locking them out. Or, you can simply change the admin username from ‘admin’ to your own name or something else and then delete the default admin user profile. You and your webmaster/developer really should be the only people with administrative rights across the site. These are really a stab in the dark for hackers who attempt to find weak spots in the site by making URL requests that should return an error but are sometimes completed. To create a more complex ruleset, you needn’t write all the code yourself. If you’re familiar with working with .htaccess and your site is on an Apache server, then you can use the 5G Firewall which is a blacklist for common exploits. You don’t have to use all of the lines either, as it’s modular, and in the event that it does produce errors, you can delete line-by-line until you discover the problem. 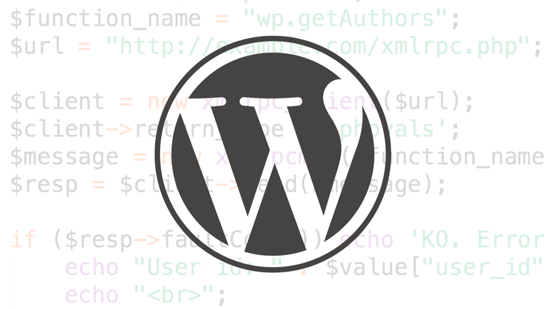 You can of course use one of the security plugins that are available for WordPress too. Before installation, you should check that any plugin you use is supported and updated frequently. If so, then you should also check out the ratings and reviews to determine which is seen to be the best by the WordPress community. Remember too, that if you have a lot of plugins on your installation, to periodically removing anything you’re not using. Ask yourself if the functionality that any given plugin allows you is really necessary and cut out the ones you can do without. For those plugins that you’ve deactivated you should also delete them as they provide a potential way in for a hacker. If plugins are no longer supported, then you should look for an alternative as it’s bound to create a vulnerability at some point, if it hasn’t already. For the most part, WordPress security is about using common sense and understanding that a lot of the time, hacks and malware can be put down to errors by the end user. For the most part, hackers get in via exploits in software, so if you ensure that you always have the latest versions you’ll do a good job protecting yourself. Hackers look for the easiest route unless they are targeting you specifically, so tighten up your site and don’t make it easy for them. Hey @php. I recommend taking a look at this - https://wordpress.org/support/topic/password-protect-a-directory-with-htaccess - and this - http://www.wpbeginner.com/wp-tutorials/how-to-password-protect-your-wordpress-admin-wp-admin-directory/. Hi, the tutorial on wpbeginner looks very good. Pay atention to the "Admin Ajax Issue" section to allow admin-ajax.php. Some plugins also use admin-post.php file. On the other hand iThemes provides pretty good url filtering and has ability to change wp-admin slug. I really like combo of WordFence + some rules from .htaccess generated form iThemes Security + rules to block queries contain "wp-config.php" and to block harvesting user names. I usually don't use security plugins on my own servers - I block login and scanning attempts with fail2ban and use WAF (naxsi) to enhance overall security (but it is quite hard to maintain rules). I have one more question. How do you change the default WP login.php to something else? If you use the "hide backend" feature in iThemes Security, login.php is also hidden (until you visit new wp-admin URL).